And again, we are closer to another point of our existence as a people of Kwara state to make a decision for a paradigm shift from the arkaike politics we are known for in Kwara or to sustain it. It is that moment again, when we will decide whether to take our futures in our hands and make Kwara state great collectively or continue to leave it at the mercy of the bandwagons of incompassionate leaders whom have led us nowhere but backward. As princes and princesses of Kwara, we have to decide whether to continue living like an alien in our state or take our rightful position as noble citizens, who deserves nothing but good governance, accountability and respect from our ruling elites. Kwara was created over 50years ago, majority of our metropolitan roads were constructed by government of George Innih, a military Governor who wasn't even an indigene of Kwara state and served for less than four (4) years according to history. 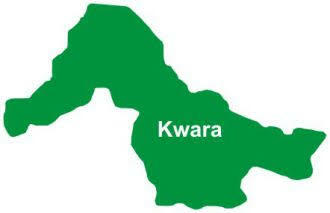 In the last 16years, where are those major roads in Kwara state? Yet, our debt profile along the years is rising, while we continue to live with the reality of infrastructural laxity and decadence. Our primary education is in comatose, secondary education is in a state of despise, while the tertiary education sector have been made unaffordable for an average Kwaran, despite having infrastructural decay in some of these tertiary institutions. Meanwhile, we've continued to be celebrated as the highest internally generated revenue (IGR) recipient in the North Central region of Nigeria, without it's practical reflection on our common existence as a people. Teachers salaries are owed, they were issued promotion letter effective from 2015 in 2018, still without financial backing. By implication, these promoted teachers are supposed to be paid the increment on their salaries as a result of the promotion from 2015 to date, meaning if a junior teacher's salary increases by #5000 for instance, s/he is owed #180000 by the Kwara state government, but, even the incomplete salaries are not paid. There is no better ways we can be dared as a people than dispassionately showing lack of serious concern for all fragments of Kwarans, by whose mandate they got power. All the years, we've had representative members at the national and state levels, we've heard Senators, even though I'm not Sen. Dino Melaye's fan, i give it to him for advocating against the excesses of his Kogi state Governor, Yahya Bello. Same thing applies to Sen. Sheu Sanni of Kaduna state, but there was no time any representative member have dared to caution any Governor in Kwara state on their misgovernance, they've always been along players in the conspiracy against Kwarans. The welfare of their people as demonstrated by them have remained secondary, they're always interested in how to remain in power, usually by pleasing a man and not the people, believing he is the alpha and omega of their selfish and anti-people political careers. Do we need people who will continue daring us for another 4years? For any politician who is believed to be daring in the interest of the people, s/he must have a record of daring to fight for the people, even if it means their political interests wouldn't be protected, the likes of Alh. Yinka Aluko who walked away without considering personal gains is an example of a truly daring man in the interest of Kwarans. A true leader must be seen to be consistent over time, anybody who became suddenly daring in a bid to satisfy personal greed will also dare Kwarans if such person is trusted. A truly daring leader would have dared the status quo, or at least not be princioal part of the conspiracy against Kwarans. Kwarans needs someone whom have been consistently compassionate about us along time to lead us. A compassionate leader whose personal greed wouldn't override our common interest, a man with proven record of passion for communal growth, human capital development and a better Kwara that works for Kwarans, regardless of our social, economic or political status. Without any marauder, Kwarans openly dared the status quo in the 2017 Local Government elections, by outrightly rejecting them and their cohorts. It will then be a political scam for anyone to pose as a daring politician after dining and whining about with our common enemies, when we had actually proved to be daring and showed our meanness to send the political gluttons packing come 2019.